Private therapy is conducted either at our office in Montclair, New Jersey or at your home with the goal of providing a comfortable and personable environment for learning. Sessions are individualized to fit each client's unique needs and personality. We strongly encourage family member involvement in order to facilitate carryover of the skills and lessons learned during the individual sessions. Our strong belief in continued education is driven by the ever-changing methodologies used in our field. Great pride is taken in our efforts to stay current in the hopes that we may have a lasting, positive impact on the future of speech language pathology. 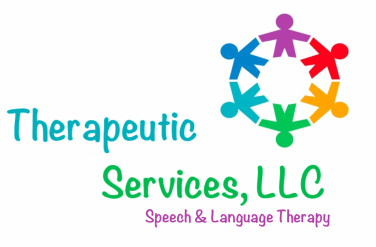 Our goal is to provide outstanding adult and pediatric speech-language therapy services in a fun, supportive, and family-focused environment. We strive to improve the quality of life for our clients by providing the highest level of services. Mali DeSantis, M.A., CCC-SLP is the owner of Therapeutic Services LLC. Mali received her Bachelor’s Degree in journalism at Rutgers University. Transitioning from television journalism, Mali’s desire to enter into a helping field brought her to Kean University where she received a Master’s Degree in Speech Language Pathology. She is an experienced clinician who has worked in a variety of settings including private practice, schools, homes, and hospitals. Her clinical interests and specializations are in the treatment of children with Autism, Augmentative Alternative Communication, and the facilitation of Social Skills. Mali is licensed by the State of New Jersey and is certified as a Speech Pathologist by the American Speech-Language-Hearing Association (ASHA). In order to stay up-to-date and be on the cutting edge of her profession, she attends various continuing education classes including PROMPT, Apraxia Treatment Techniques, Social Thinking, Speech-EZ, Oral Placement Therapy (OPT), Sensory Integration, NeuroNet Learning, DIR/Floortime, Integrating ABA (Applied Behavior Analysis), and Assistive Technology. James J. DeSantis, J.D., LCSW co-facilitates social skills groups at Therapeutic Services LLC. James is a Licensed Clinical Social Worker who utilizes an integrative clinical approach and employs various therapeutic methods that will be most helpful for his clients on a individual basis drawing upon the principles of Cognitive Behavioral Therapy, Person-Centered Therapy, and Motivational Interviewing. James has clinical experience working with a large variety of clients including: children with special needs; adolescents and teens with behavioral and mental health problems; elderly and terminally-ill patients; grieving families; couples counseling; vocational therapy; adults with disabilities; criminal/forensic issues; substance abuse; co-occuring disorders; and, adults with serious mental health issues such as schizophrenia, bipolar disorder, anxiety, depression, post-traumatic stress disorder, obsessive compulsive disorder, personality disorders, and addictions. He earned his Masters in Social Work from Rutgers University where he was a recipient of the William Neal Brown Memorial Fellowship and graduated at the top of his class. He also earned his Bachelor's in Psychology from Rutgers University where he was a Dean's List student, served as a Psychology teaching assistant and was a member of the Honor Society in Psychology. James successfully practiced law for over 10 years prior to becoming a therapist. He is a member of the Federal and State Bars of New York and New Jersey and the District of Columbia and earned his Juris Doctorate from Seton Hall University.